Guests will immediately notice the custom designed kitchen, with new cabinets, granite countertops and new dishwasher, disposal and washer and dryer. The large living room is complete with new leather furniture and large flat panel TV. Step out to the huge outdoor balcony and enjoy the beach view, the perfect location to enjoy your morning coffee or unwind after a long day at the beach. The master bedroom has a king sized bed, plenty of dresser space, new chaise lounge, new bedding, television and access to the balcony. Attached is the master bathroom, with undermount double sinks, frameless shower doors and granite counters. The second guest bedroom is also nicely decorated and contains two single beds with new bedding and TV, perfect for children! As with every SunHost property, linens, extra towels and pillows are all stocked, and ready for you upon arrival. Free Wifi and long distance from US to Canada is also included. When staying in a SunHost unit you will also have access to 7 day a week office staff, office services (fax, copy, print boarding passes etc.) We also have maintenance available 7 days a week if you experience any issues at the property and an after hours emergency on call person. This is a non smoking property. In a matter of minutes guests can walk to the heated swimming pool, BBQ facilities, and of course, tranquil beaches. John's Pass Village, a local landmark is just across the street. The "Pass" is a quaint turn-of-the-century fishing village and Pinellas County's #1 tourist attraction. The Village has over one hundred unique shops, a variety of restaurants, the local fishing fleet, dolphin watching and shelling tours, boat rentals, parasailing and jet skiing. Best of all as a SunHost customer you can walk to this great entertainment destination. Anchor tenants include Bubba Gumps, Hooters and Hubbards Marina and also world famous Bamboo Beer Garden. The condo was very nice and had everything we needed for a pleasant stay. I agree with the other visitor that stated gas grills are need to make the stay complete. The area is very nice and right across from Johns Pass. Overall very happy and will be staying here again. Unit is very nice and was plenty big for our family if 4. It is right across the street from Johns Pass which was great. The only issue with room was the carpet is beginning to show signs of wear and tear and has actually pulled away from where it meets the tile. It left a sharp edge that we had to cover with a spare piece of carpet. One wish I have is that the Crimson would invest in some gas grills for the building. Resorts on both sides had very nice grilling areas, the Crimson has two very old charcoal grills located in the parking garage. That just doesn’t cut it. Condo was very nice and had everything we needed. Clean and well decorated. Location was perfect. Right across the street from many restaurants and shops. Couldn’t be happier. We had a very nice vacation. The condo was very nice and decorated well. We had no issues with the accommodations and the location was perfect. Walking distance to eat, drink and shop. 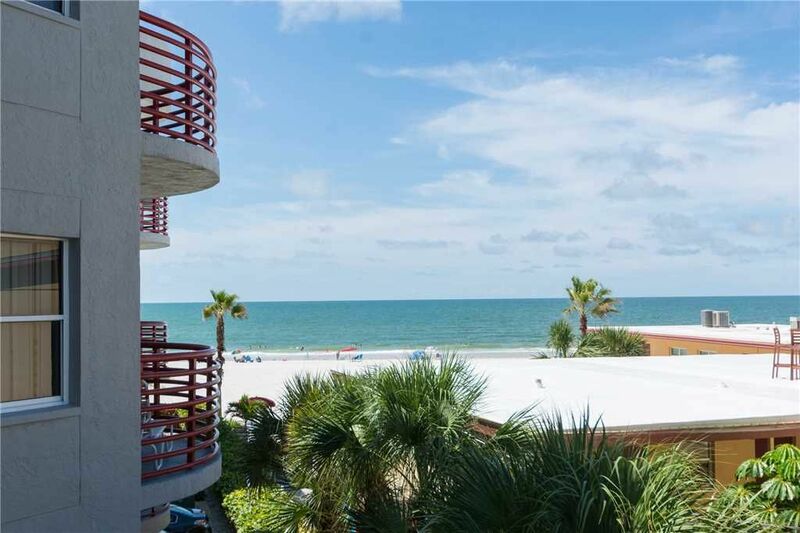 We come to Madeira Beach every year first time we stayed in crimson and very nice condo we will stay again. Parking was very convenient it was also very convenient to John's Pass. Unit 2:05 is very nice. We had a great time at Crimson....Loved our condo, very spacious and relaxing....can't wait to come back.